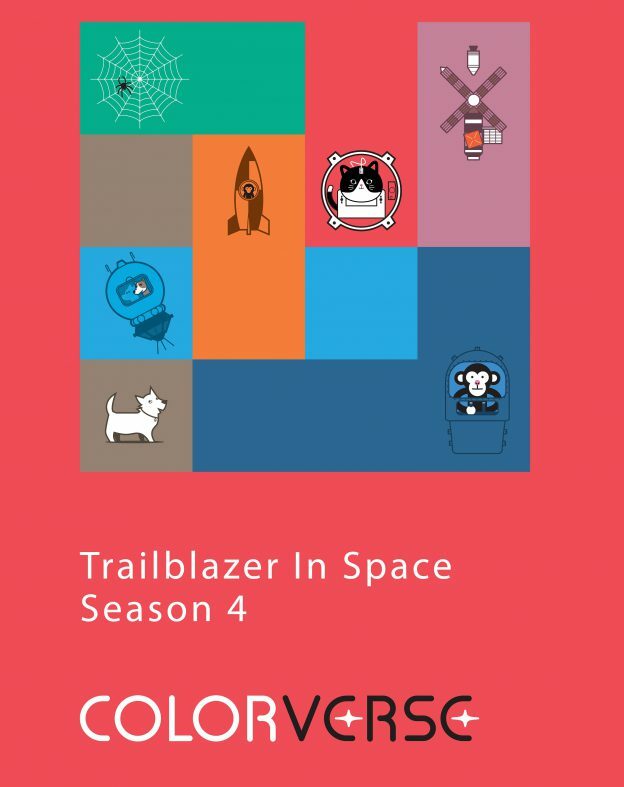 Introducing Colorverse Season 4 Trailblazer in Space! 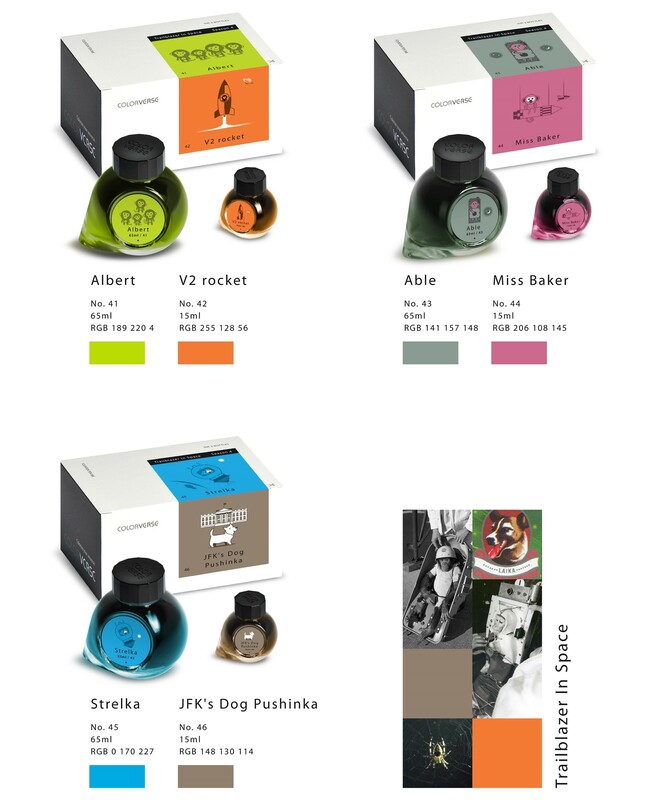 Colorverse, a South Korean Ink company, has taken us all by storm, and left us breathless. Just a few months ago, hardly anyone had heard about Colorverse. Now, it’s hard to believe that they have almost 50 colors! We’re proud to announce the addition of six brand new colors in Colorverse Season 4 Trailblazer in Space. Colorverse Season 4 Trailblazer in Space! There have been many animals throughout the years, who have helped blaze the trail to space. Each ink in Colorverse Season 4 has been named after one or more of these trailblazing animals. Albert and the V2 Rocket are a bright yellow green and a lively orange. Albert gets it’s name from six brave monkeys who gave their all as test subjects in V2 Rockets. Next, we have a subtle grey, and a soft pink. Able and Miss Baker also derives its name from two brave monkeys. These two monkeys were the first two Monkeys to also survive the rocket flights, marking a huge milestone in space travel. The third color in Season 4 is a light blue with a companion brown-grey. Strelka, was one of the first dogs to go into orbit and also to return alive. She later went on to have several puppies, one of which became JFK’s Dog Pushinka. 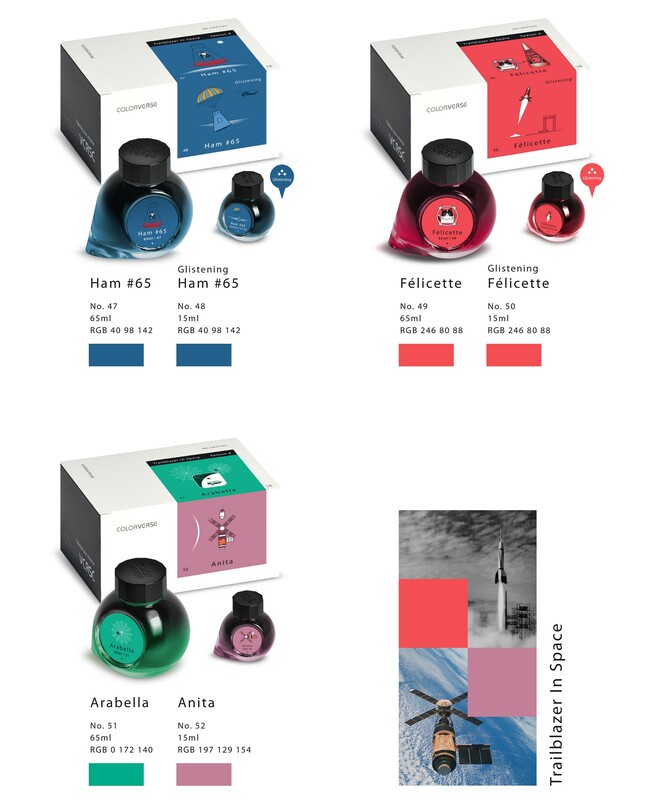 Ham #65 is a deep blue ink that comes with a companion glistening version of the same color. Ham was the first animal in space who was not merely a passenger. While in space he was to complete specific tasks to test for any delays in motor function that space may cause. Félicette is an almost watermelon pink that also comes with a companion glistening version of the same color. Félicette was the first cat in space, on a sub-orbital flight launched from France. Arabella is a mint green that comes with a 15ml bottle of Anita, a dusty pink. Arabella an Anita were Nasa’s first Arachnid Astronauts. They were launched into space in response to a question posed by a high school student about how space would affect web-weaving for spiders. Colorverse Season 4 Trailblazers in Space will be available for sale July 15th, 2018 at midnight (PDT). Also, you can get on the pre-order list for Season 4 now so that you can be notified as soon as you can order them. 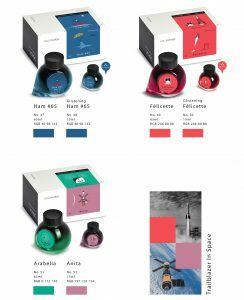 This entry was posted in Fountain Pen Ink on July 13, 2018 by Pen Chalet.